If you're a fan of Phoenix architecture, you know about the Security Building, which is on Central Avenue and Van Buren. It was built in 1928 by Dwight Heard (yes, the Heard Museum guy) and has been in continuous use since then. 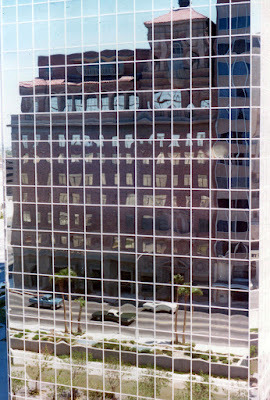 I became aware of the Security Building when I worked in the Bank One Tower (now called Chase) in the 1990s. 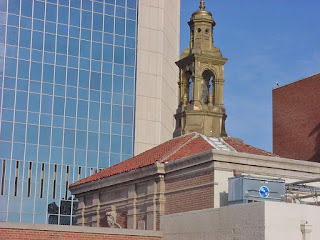 I was particularly fascinated by the penthouse on top. The penthouse, by the way, was added onto the building in 1958 by Walter Bimson, who had been the president of Valley National Bank (which became Bank one, which became Chase). But it was only a few days ago that one of my PhDs (Phoenix History Detectives) pointed out the burned-out light in the steeple on the top. And his idea was to see if the light could be restored. An inspiring idea! 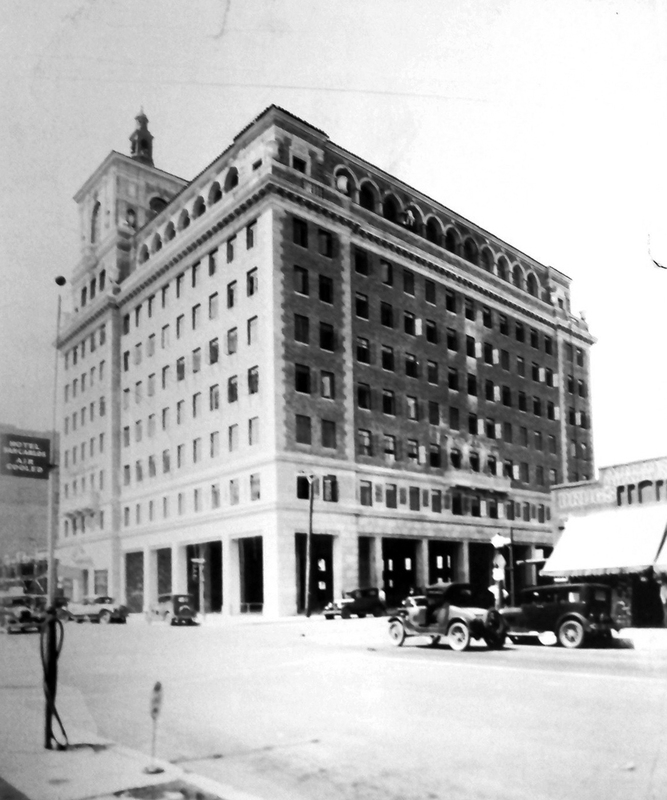 The Security Building in the 1930s, Central Avenue and Van Buren, Phoenix, Arizona. Note the steeple. Time-travel with me to 1928. 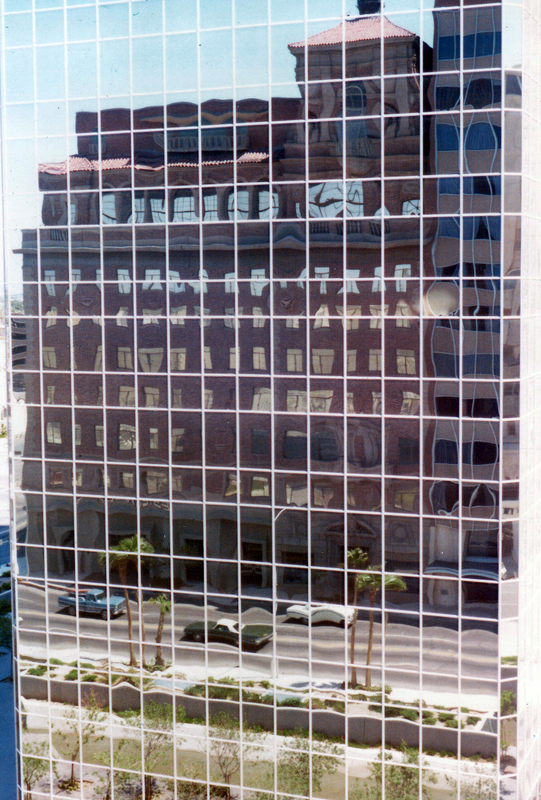 The Security Building has just been completed, and is the tallest building in Phoenix. And as impressive as it is, it gets even better. As night falls, the light is switched on. You can see it for miles. It doesn't light up a logo, or anything like that, it is simply a light. It's a light that shows Dwight Heard's attitude of "unrealistic optimism", belief in the future prosperity of Phoenix, and Arizona. It's an important light, and it would be nice to see it shine again.